There are no rooms available at Blaisdon House B&B for these dates. YOU CANNOT BOOK THIS - Go to Holidaycottages.com and search for Sunnyside, Lydbrook. We had a fantastic stay with you. The freshly cooked breakfast with locally sourced ingredients fuelled us for the day we were so full. The little touches were really thoughtful e.g. the use of cagoules and umbrellas in the wardrobes; sewing kit; small refridgerator in bedroom; the free Wi-Fi. You were always cheerful and full of information about places to visit etc. A trip to Monmouth is worth a visit. Snowshill Manor a National Trust property is an excellent day out. A visit to Gloucester is a must and a visit to the cathedral. A boat trip is relaxing. The public house across the road from Blaisdon House (The Red Hart) is worth a visit. The locals are very friendly and will advise on places to visit. The food is typical pub grub but very filling. You can have a drink without having to worry about driving. Blaisdon House is absolutely outstanding! We enjoyed our stay very much but we recognased that one night was too short to appreciate this great B&B with all its comfort, friendlyness and style adequately. Next time we will definitely stay longer! It is absolutely fantastic! Beautiful, individually decorated spacious rooms. Quiet, private, luxurious products in room and practical information about the local area. Ample local activities to witnees - like the fun run ending with a bbq at the pub across the road. Great pub, Nice not to have to drive after a meal out. We visited Puzzlewood in the Forest of Dean - very interesting and atmospheric. WHAT A GEM!!! fantasic hosts, very friendly and welcoming, and the house and gardens was fabulous. The breakfast was lovely, good quality produce, caters for all tates,and requirements. the house was spotless, good size room with high quality bedding and towels. nice touches including bath robes and slipers. 5 star at its best!! in the middle of the cotswolds, where theres plenty to see and do. the pub accross the road serves nice food and a friendly atmosphere. Absolute perfection, we had such a lovely stay and really couldn't be happier, everything was wonderful. Blaisdon House is beautiful, the setting is stunning and oh so peaceful. Our room was spotless, the bed was comfortable and the water pressure in the shower was great. Every little detail had been thought of and well executed, we were especially delighted to find playing cards. It really was a joy to come back to the room at the end of the day to relax. To top it off breakfast was delicious and Sue and Chris were fabulous hosts. We'll definitely be recommending Blaisdon House to our friends and family, and hope to visit again soon. Many thanks for a wonderful stay and the shopping tips! Beautifully restored house using good quality materials. Excellent friendly hosts. Gorgeous breakfast. Gardens are lovely to stroll through. Next time we will stay longer. The Red Hart pub across the road is good for pub grub. You have the most beautiful house we have enjoyed staying in. Our bedroom with the 4 poster bed was so comfortable and the view was amazing of your garden. The breakfasts were huge and very tasty,we had such an amazing time we can't wait to come back! Thank you both so much. The location is very good for many attractions in the Forest and the pub opposite The Red Hart serves the most amazing food and they are all so friendly. beautiful setting and stunningly decorated and maintained house. Sue and Chris made us feel special and the nourishing top class breakfast made us feel like VIPS. Thank you so much. Living Love, Earth Heart Centre near Forest Dean. Must go to retreat and workshops. Sue and Chris were friendly, welcoming and very accommodating. Their home and the guest accomodation is 2nd to none. If all B & B in the U.K. We're like this one you would never want to go home. Pub across the road great food and very friendly. 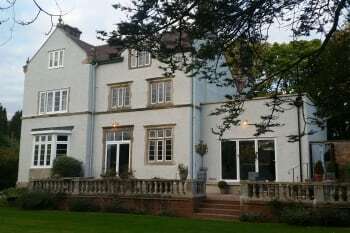 Blaisdon House is a wonderful place to stay. Everything about it was very good:comfy and impressive four poster bed, lovely bed linen and fluffy towels, variety of drinks, biscuits and a noiseless fridge! Everything was thought about that you might need on a visit. Excellent and varied breakfast. Some of the roads are rather narrow so take care. There are plenty of places to visit. In the Forest of Dean do visit Mallards Pike and Clearwell Caves. On the Wye Valley are Goodrich Castle and Tintern Abbey. The National Trust gardens at Westbury Court are a delight. There are good views of the River Severn at Newnham. Great stay, everything was excellent and to a very high standard. Sue and Chris were caring and attentive hosts with a lovely sense of humour. Breakfasts were tasty, and extensive. First class coffee and home made croissants. Rooms well appointed, with quality fittings, lovely towels and bed linen. Everything that was needed had been thought through, the attention to detail was superb. I don't think there was a detail which had not been considered and implemented. The only thing missing was a helicopter pad but then who really needs one!! [ I'm sure if mentioned Chris would have sorted something out ] Gardens were extensive and beautifully appointed, were we able to chill out and well served with tea! There was a open house policy which made us feel very welcome, it our circumstances it meant a lot...thanks. Great hosts and lovely people. We will return. Pub close by serving great, tasty pub food, easy walking distance. Absolutely loved this B and B!Fabulous setting, wonderful gardens, immaculate decor and oh so tasteful,comfortable and spotless, lots of little extras and hosts so friendly and helpful. We had a fabulous two nights-and two delicious breakfasts. What a lovely surprise not having stayed in a B&B before Blaisdon House surpassed all expectations, would definitely recommend it to anyone wanting a peaceful stay in beautiful surroundings and a warm welcome. Use the pub opposite excellent food . Good pub across the road. Ten out of ten ! Great place to stay, great location and great breakfast. We were truly spoilt. I couldn't recommend you highly enough. You have really set the bar high. But we loved it ! Thank you again. The Red Hart Pub is within walking distance too, very convenient for a pub meal. We had a great meal there. And don't forget to visit Puzzlewood, it is trike ly a magical forest. Amazing stay ! A+ Great B & B, 1st Class. Very comfortable bed, great location. Top breakfast, and fabulous owners, who make you feel very welcome and go the extra mile. Pub within walking distance for dinners. And Sue & Chris have a postcode listing of sites in the area if you need them for your GPS. Very helpful. Parking available. Chris & Sue welcomed us into their beautifully decorated and exceptionally clean B&B. Every last detail thought of, just like home from home with excellent breakfast choice and definitely worth the 5* rating. Chris & Sue are eager to advise with places of interest, knowing the area but I would suggest Prinknash Abbey & Three Choirs Vineyard. After checking out the area during the day, it was good to relax later in the local pub, with a warm welcome and excellent food. A wonderful place, run with a real eye for comfort and detail; there are even raincoats in the room to borrow for the "unpredictable English Weather". Our room was very comfortable and had a great view on village life. The village is quiet and so peaceful and although we were there for only two nights we returned home feeling completely relaxed and refreshed. The owners Chris and Sue are absolutely lovely and were incredibly helpful, welcoming as well as being very professional; nothing was too much trouble and they always had a smile. 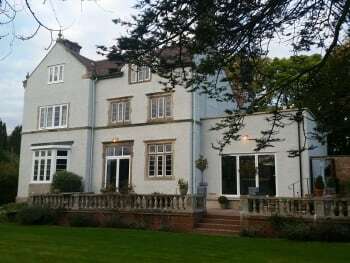 We could not recommend Blaisdon House highly enough. Just ask Chris and Sue and look in the comprehensive information folder in the room. Very helpful. The house is amazing! Rooms are to an excellent high standard, a little piece of heaven in the country. Superb breakfast, nothing is too much trouble. A must place to stay if you are in this area. The pub over the road is lovely - had dinner there and the food was excellent. The staff are friendly and made us feel very welcome. This is a great B&B and we recommend it thoroughly. It is very comfortable and beautifully decorated and equipped to the highest standards. Chris and Sue are very friendly and go out of their way to accommodate the requirements of their guests. Breakfast was also of a high standard, great selection and delicious each morning. Thanks very much Chris and Sue, we had a lovely time and felt very welcomed and refreshed by our stay. We particularly liked the Italian restaurant that was recommended in Ross on Wye, Chepstow and Lydney Harbour. Perfection thank you ! Lovely hosts and in every way the experience could not have been better. Well done and thank you ! Ask Chris about the Indian at the Forge and Hammer ? Fabulous B&B! Lovely hosts, gorgeous rooms, beautiful garden & delicious breakfast! Top Notch! Flawless. Decadent. Attentive. Friendly. Privacy and space were in abundance. Breakfast amazing with local provenance a priority. A beautifully restored house and a pleasure to stay here. The Pub opposite does hearty high quality pub fare. A 15 second walk. Their Wine is more hit and miss. Hillside brewery is a treat. Oldfield forget is great. Lovely B&B with immaculate and tastefully decorated en-suite bedrooms. The separate guest lounge is great for a relaxing pre-dinner drink. Breakfast could not be faulted and neither could the warm welcome we received. Luxurious surroundings. Locally sourced food was delicious, including the Blaisdon plum jam. Puzzlewood forest is fun for all ages. Lots of good off road biking with cycle hire nearby. Pub in Blaisdon and Farmers Boy Inn 10 minute drive away both very good. Hereford - Mappa Mundi and Magna Carta in Hereford Cathedral very interesting. You were great hosts. Great welcome and amazing breakfast. Friday evening food at the Wye Smokery - you need to book in advance. Food lovely but wrap up as it is a little chilly in the shop, where the tables are due to the chill cabinets.